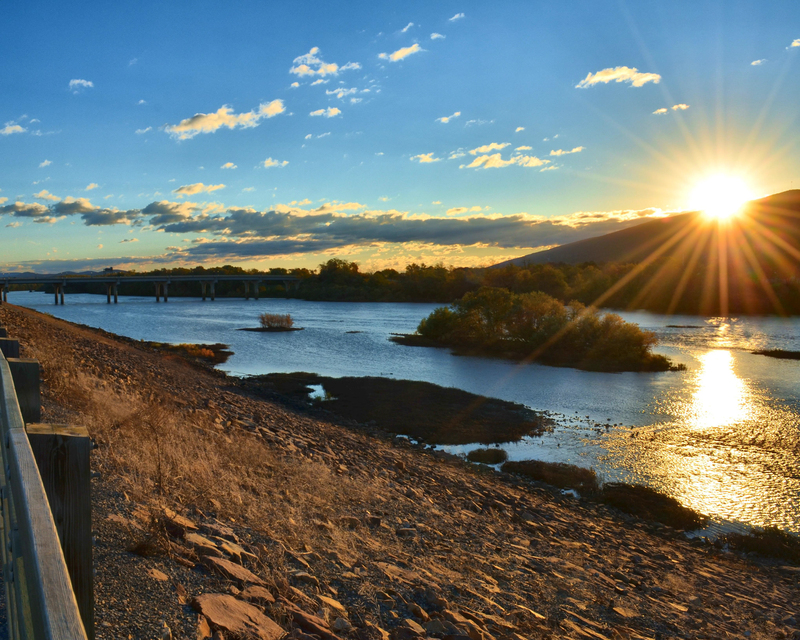 Once again our judges were blown away by the amazing stories and moments shared in our 5th annual Susquehanna Greenway Photo Contest, Treasured Towns & Landscapes of The Susquehanna Greenway. 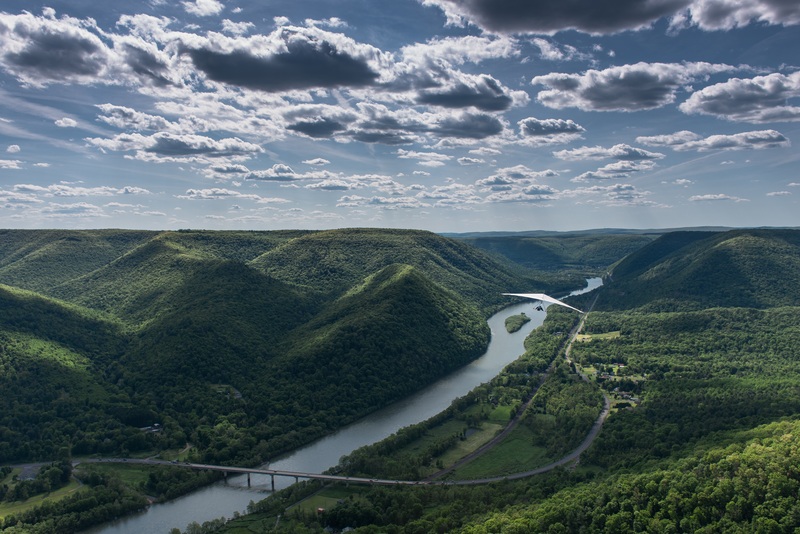 Numerous images were submitted that highlighted the treasured landscapes, historic river towns, and inspiring photos of life along our incredible Susquehanna Greenway. Entries poured in from across the state. 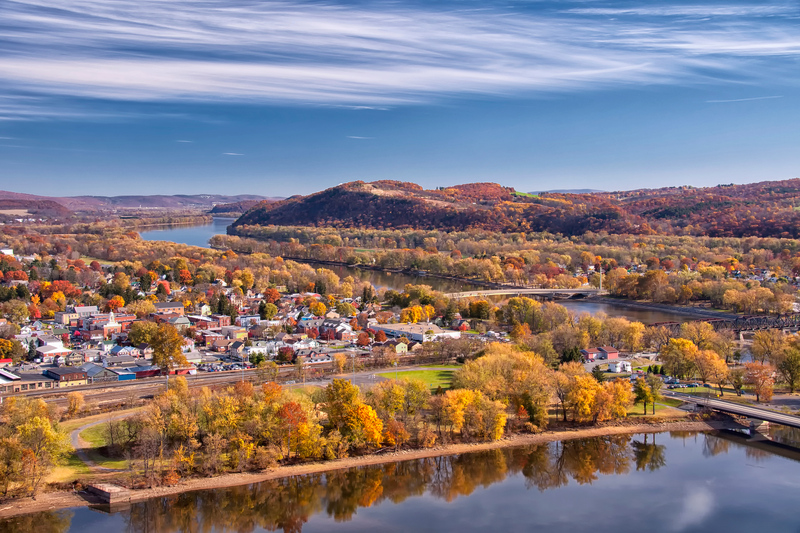 Clearly, our mighty Susquehanna is a destination not to be missed. We would like to thank as those that entered and congratulate this year's winners! The Winning images are to be features in the October e-Connections newsletter, on our Facebook page, and will be printed, framed and added to our traveling Photo Contest Gallery for the rest of the 2016/2017 fiscal year. Gallery locations as follows. "For my Birthday in March, my wife surprised me with an airplane ride! We flew from Selinsgrove to Lewisburg and back. 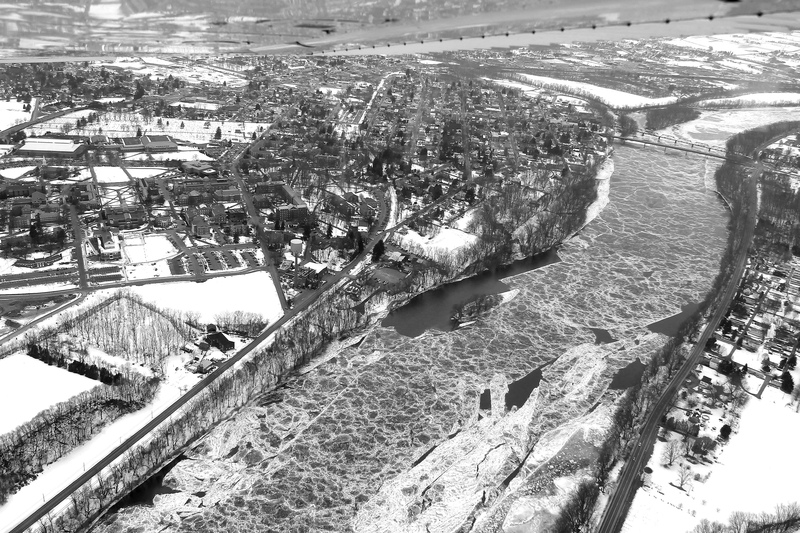 I enjoyed viewing the area in Winter and taking pictures, including this shot of an icy Susquehanna River in Lewisburg, PA."
"I love taking lightning photos and I'm always looking for a good place to get a great landscape shot of lightning. 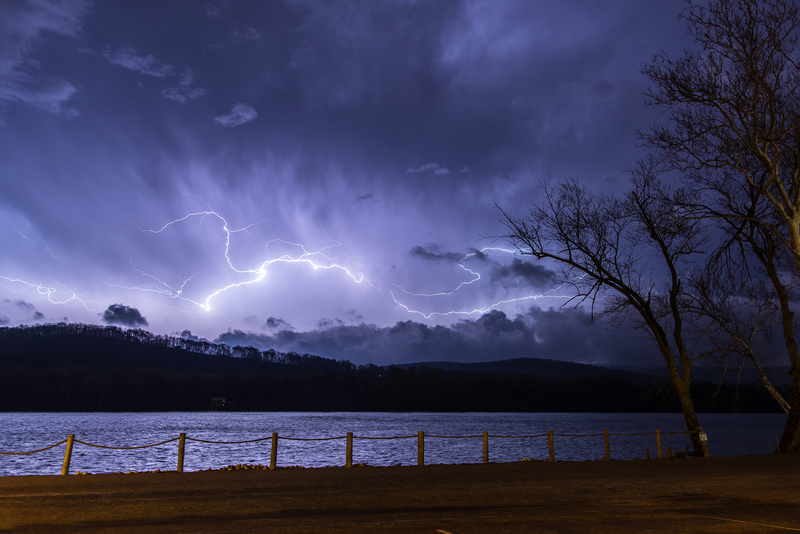 So when the lightning had moved to the other side of the river I was able to get this shot safely." This image, overlooking the West Branch of the River was taken at the Hyer Park Overlook. The photographer stated, "[This is] one of my favorite spots to shoot and on this particular day we brought my daughter's friend Stanley, who actually flew on one of the hang gliders." "It was a crisp, fall morning in November and I decided to visit the Shikellamy State Park Overlook. It was cloudy when I got to the top, but as the day progressed the clouds lifted and I was able to see the fall colors and the [branches] of the river merging." 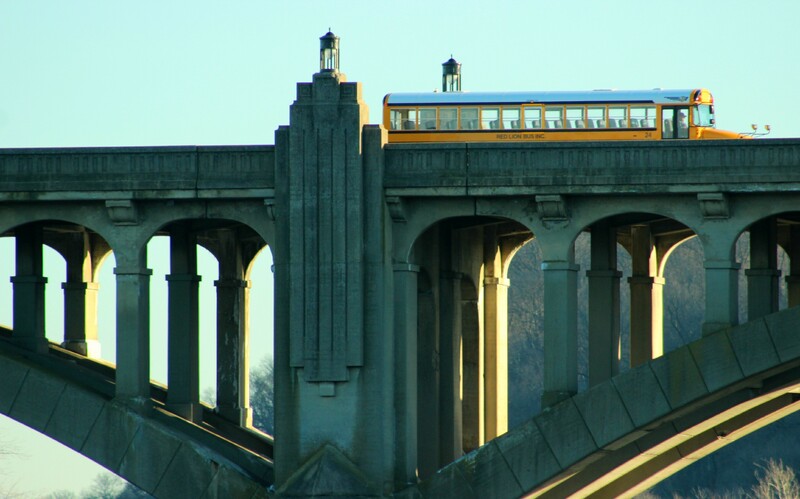 This image of a bus on the Columbia Wrightsville Bridge was shot using a 1200mm lens. "There's no stopping education," says Sheely. 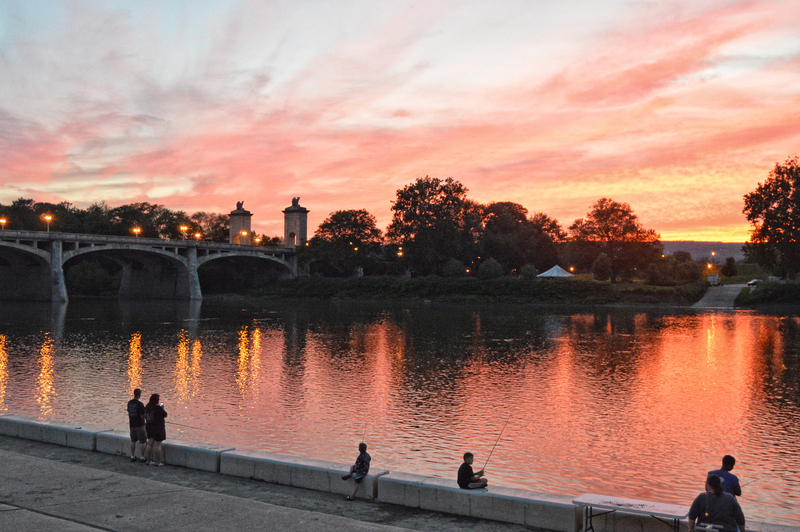 This image was captured on the River Commons in Wilkes-Barre during the Riverfest event hosted by the Riverfront Parks Committee. "The sunset was taking place behind the event [and] I was able to capture the shot." This image was captured on the Main Stem of the Susquehanna River near Selinsgrove, PA. 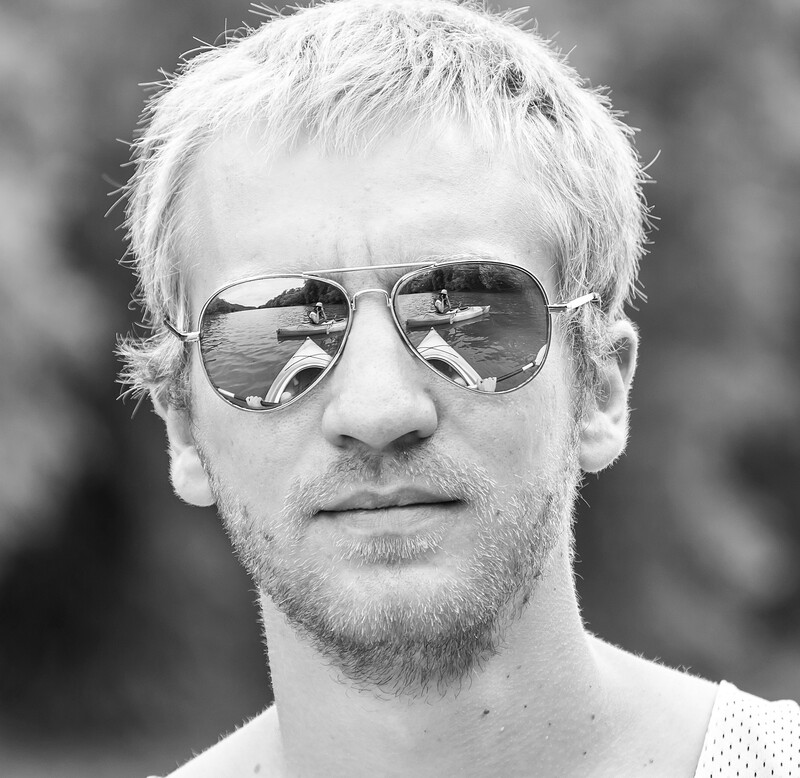 The photographer stated that, "while kayaking on the Susquehanna with my son, Mark, I realized I could see myself in his sunglasses. I carry my camera wherever I go and was able to capture the image." 2nd Place- Jeanne Kenney, Wilkes Barre, PA. This picture was taken at the 'Winter Along the River' hosted by the Riverfront Parks Committee of Wilkes-Barre. "The goal of the event, stated Kenney, "is to promote year around recreational use of the parks. 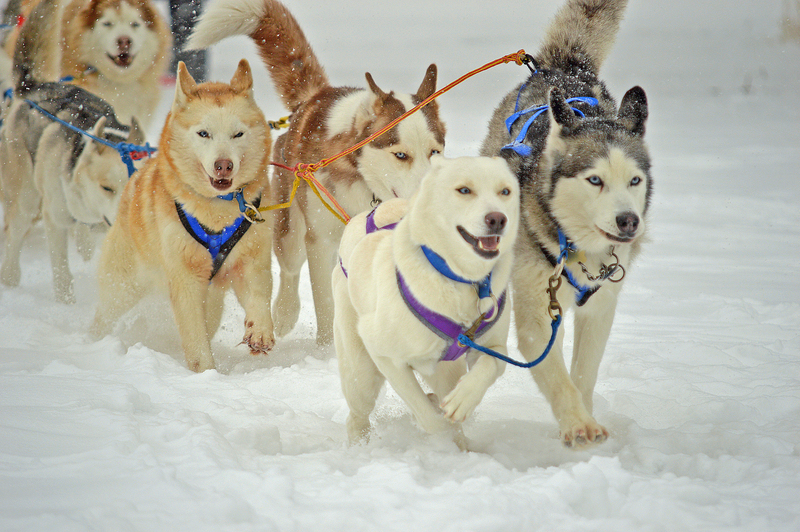 The sled dogs were one demonstration of the event." 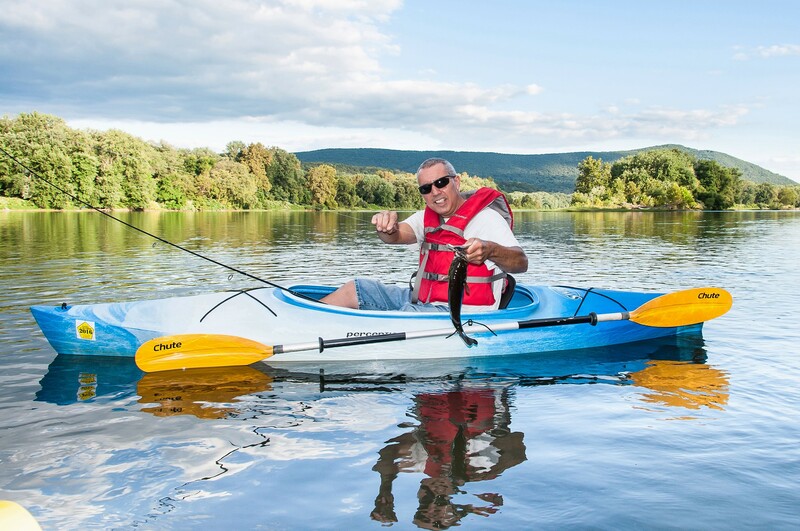 While kayaking down the Susquehanna River near Selinsgrove, Rita was able to capture this image of her friend Max Young. "[We] had a great day fishing. I think we caught 8-10 fish that day and the fish picture was one of the largest." Devin was able to capture this shot during a visit to Wildwood Park and Nature Center. "Frogs are my favorite wildlife creature. 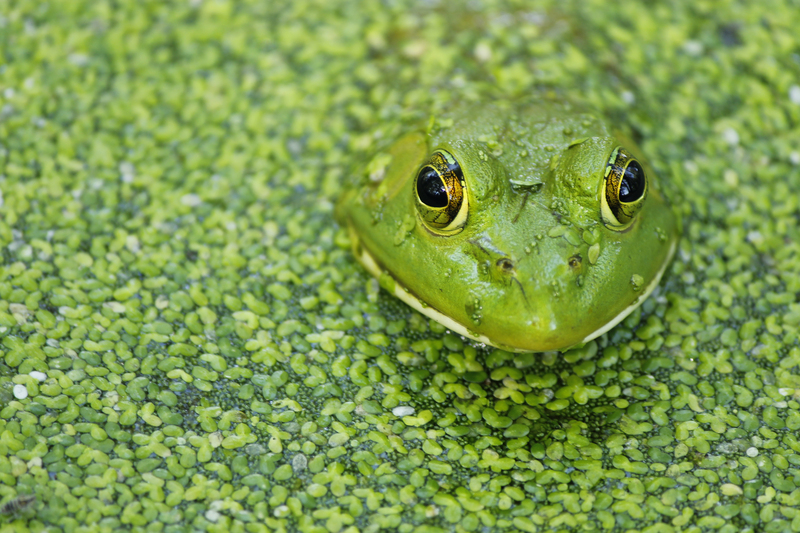 It is cool to watch frogs in the wild." People's Choice- Patrick Greenabaum, Williamsport, PA. This image was taken near the Market Street Bridge in Williamsport, PA. The photographer stated that "while visiting the Susquehanna River Walk early one morning lookng for birds to photograph, I was pleasantly surprised with this scene as the sun started to peak above Bald Eagle."